Hey guys! I hope you're all doing well! I have a bit of a swatch filled posted for you ! 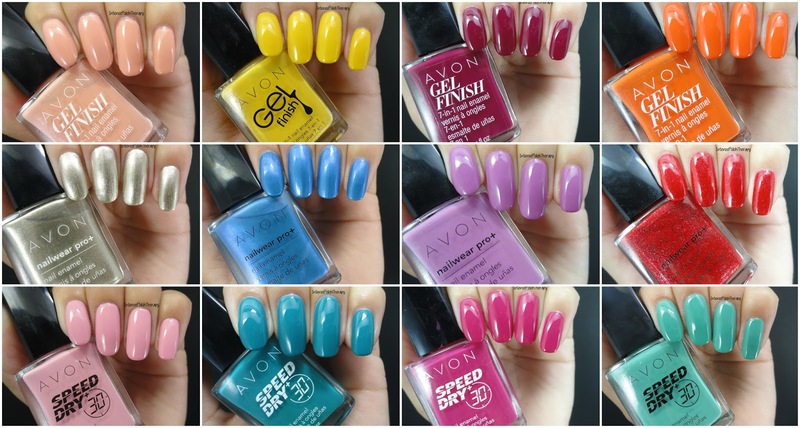 Avon's PR team sent me 40 different shades of their polishes for me to swatch for you & I ever so excitedly did just that. I do just want to let you know that around the 20th my son broke my camera, & I did get a new one so the new ones are a bit longer width wise than the majority of the pictures taken with my original camera. Citronized is a beautiful vibrant shade of sheer. Very yellow toned. Two coats for full opacity. Dazzle Pink I feel should be more so called Dazzle Peach because it leans very orange. Two good coats for full opacity. Envy is a gorgeous deep shimming emerald shade. Two coats for full opacity. Inked Up is a deep navy blue. Two coats for fully opacity. Lemoncello is a vibrant creme yellow with fine yellow shimmer within. Two coats to reach full opacity. Mint to Be is faded creme blue shade. Three thinner coats to reach full opacity. Moondust is a very greyish purple hybrid. Two coats for full opacity. Mudslide is a rich brown. Two coats for full opacity. Orange You Crazy is a very vibrant pumpkin orange. Two coats for fully opacity. Rainwashed is a very faded purple shade. Three thinner coats for full opacity. Sapphired Up is a rich medium blue shade. Two coats for full opacity. Sterling is a gorgeous shimmering gun metal grey. Three coats for full opacity. Teal Me About It is a gorgeous teal shade. Two coats for full opacity. Very Berry is is a rich raspberry shade. Two coats for full opacity. 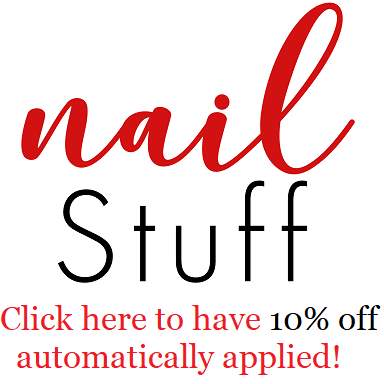 The Gel Finish polishes usually retail for $9.00 however there are a few on sale for $4.99. & can be purchased through Avon Independent Sales Representatives, 1-800-265-AVON or Online at Avon.ca .